Anyone who has an interest in a team sport has had the conversation that starts ‘what’s your dream team?’ It’s a conversation that evokes debate but there always some agreements of who were, generally, the best of all time. When I was thinking of what logo I would choose I wanted to pick a form that represented something significant. A cultural shift. 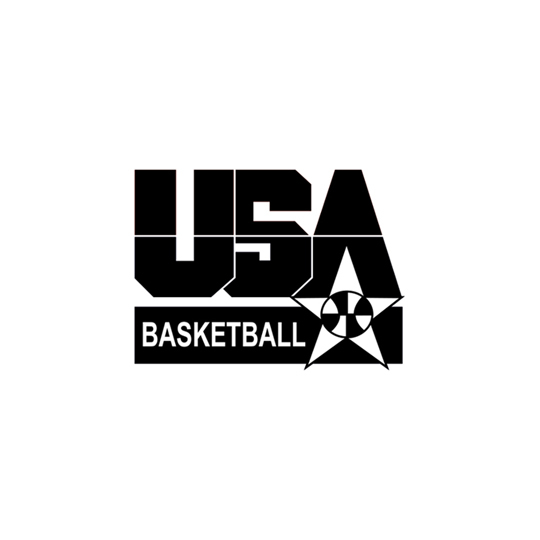 For that reason, I’ve focused on the USA Basketball logo in use from 1989 to 2012. If you were to look at it from purely a graphical point of view it may not be the best design of all time. For a start, it’s a safe and obvious route to take for a US sports logo. The bold, crisp collegiate typeface screams American sports and the colour way is a fair no brainer. The stripes and star, along with the basketball, add to the feeling of such a simplistic idea. “A logo derives its meaning from the quality of the thing it symbolizes, not the other way around. A logo is less important than the product it signifies; what it means is more important than what it looks like.” This quote from Paul Rand sums up exactly why I’ve chosen this logoform. To understand the context in which it gained notoriety you have to go back to 1989 when it was first introduced. For years, professional basketball players could play for their country on one condition, they didn’t play in the National Basketball Association (NBA). This meant that the best in the world couldn’t compete on a world stage and the USA, known at the time as ABAUSA, could only field amateur college players. In 1989 the governing body of basketball FIBA made a rule change that finally allowed professional NBA players to be selected for Olympic events. With the rule change came a name change for the ABAUSA to USA Basketball and the inclusion of the NBA as one of their active members. This is when the logo was first introduced, but it wasn’t until 1992 that it became bigger than the organisation it represented. When the 1992 Olympics rolled around and arrived in Barcelona, the team that arrived to represent the USA consisted of a single amateur. The rest? All future hall of fame players, including widely regarded ‘greatest of all time’ Michael Jordan. The reception they received was unbelievable. Scoring an average of 117 points per game and winning by an average margin of 44 points over eight games it was an easy gold. What was most surprising was the reaction from other teams. Stopping immediately after games to get photos and autographs from team USA, almost as if they were playing just to get to that point. For fans, it was a chance to see all their favourite players in one place. For others it was a chance to experience the highest level of basketball on full display. The dominance and significance of that team on global basketball are immeasurable. 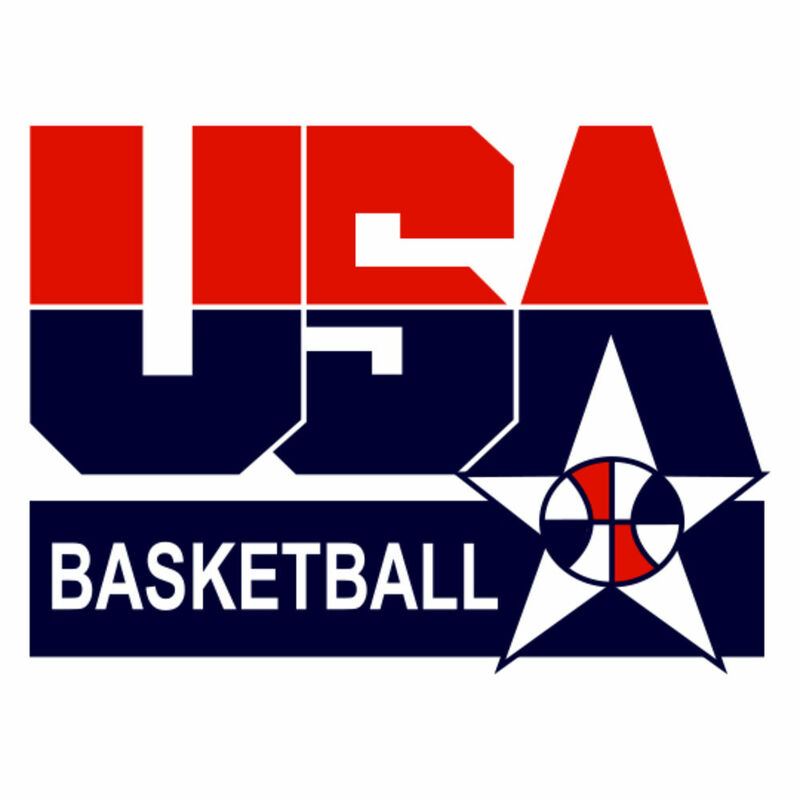 The USA Basketball logo became synonymous with the ‘Dream Team’ and represented dominance for USA Basketball for over twenty years. Without that team, it’s hard to tell if basketball and its culture would become the global phenomenon that it is today. So to sum up why I chose this Logoform, it represents the best of the best and a shift in basketball from predominantly an American sport to a global one without borders. At the time of writing this I haven’t been able to find the person behind the Logoform, but would love to know who created it. …replacd this logo in 2012, just in time for the Olympic Games in London. Taking a much more traditional approach than London 2012's controversial logo, it features a shield and a basketball. Rather predictably, the USA team won gold against Spain, finishing the tournament with a perfect 8–0 record. The team also set an Olympic single-game record in a game against Nigeria with 156 points. …is a multi-disciplinary graphic designer, illustrator and podcaster from the south east of the United Kingdom. Currently working as a full-time designer at Playne Design in Hastings, UK, working on a huge variety of work across physical and digital mediums for a varied client base. Outside of work Ade hosts The Design Jones, a podcast featuring interviews with creatives from the UK in order to showcase their stories.